Box of 72 blank slides, each 3" x 1" (75mm x 25mm). Approx. 1mm thick. Fine Ground Edge. Made of corrosion resistant glass. Pre-cleaned and suitable for medical applications. 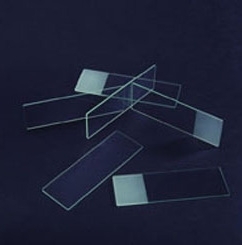 Premium blank slides have a lower incidence of scratches and digs and are made to the ISO-8037/1 & ISO 8037/2 standards .